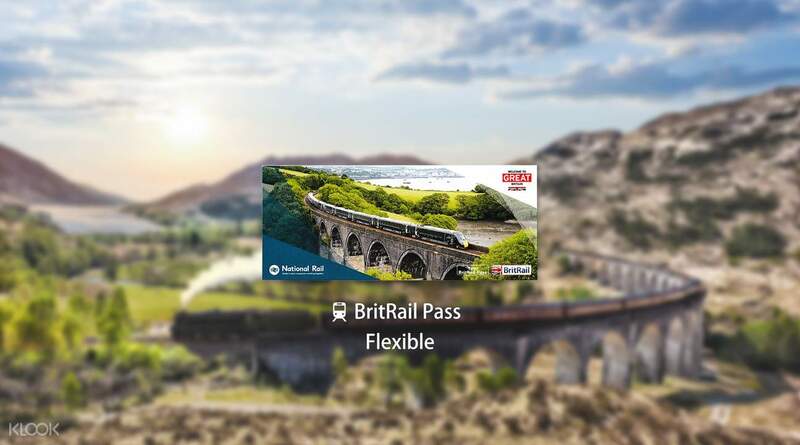 Enjoy the freedom to keep to a flexible schedule while traveling throughout Great Britain by purchasing a BritRail Pass (Flexible)! Journey across England, Scotland and Wales and marvel at scenic views of cityscapes, rolling hills, highlands and national parks. No need to worry about purchasing multiple tickets, all you need is just one. Choose a pass that's valid for 2, 3, 4, or 8 days within one calendar month, or 15 days within two calendar months, and just hop on and off the train at exciting destinations like Edinburgh, London and Cardiff. There's no better way to visit Britain’s historic castles and countless landmarks than by train. You even get a 2FOR1 entry to Great Britain's top attractions! Explore England, Scotland, and more on any 2, 3, 4, 8, or 15 days with the BritRail Pass! We will process your booking and send out your parcel on the first business day after we receive your booking (not applicable on weekends and holidays). could not recommend enough! firstly the response from the klook team was outstanding! the product itself was self explanatory and worked so well on the trains in the UK. we had no trouble using it. if you can - pay for first class - free food and comfort totally worth it! thanks again Klook - you never fail me! could not recommend enough! firstly the response from the klook team was outstanding! the product itself was self explanatory and worked so well on the trains in the UK. we had no trouble using it. if you can - pay for first class - free food and comfort totally worth it! thanks again Klook - you never fail me! It was very convenient to purchase online the Britrail passes which were delivered by registered mail (SF delivery) within a week. The passes are easy to use and can give much flexibility to the trip. Seat reservation is also possible free of charge at any railway stations in the UK. It was very convenient to purchase online the Britrail passes which were delivered by registered mail (SF delivery) within a week. The passes are easy to use and can give much flexibility to the trip. Seat reservation is also possible free of charge at any railway stations in the UK. The pass is a good deal and easy to use. Seat reservation is recommended upon arrival to UK. Make sure to get it validated at the first station upon use. The pass is a good deal and easy to use. Seat reservation is recommended upon arrival to UK. Make sure to get it validated at the first station upon use. It's a really better way to follow when traveling UK . The stuff is helpful at the train station to done everything for us at first day we started to use the ticket. Nice experience. It's a really better way to follow when traveling UK . The stuff is helpful at the train station to done everything for us at first day we started to use the ticket. Nice experience. Excellent service provided that is punctual comfortable as well as luxurious for the first class service provided . Excellent service provided that is punctual comfortable as well as luxurious for the first class service provided . a great buy! recommend to those who wish to travel around in UK. a great buy! recommend to those who wish to travel around in UK.